...found at my parent's house. A remarkable creature! 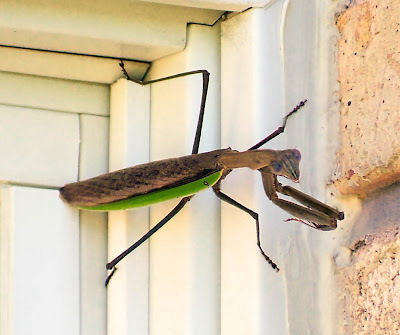 A preying (or praying) mantis. getting ready to die with the colder temperatures. Then maybe I should have rescued it. My cats would certainly enjoy having it around the house (until they catch and eat it).